- Technique and Style: I took a photo outdoors of a guy’s hands and another one in the mosque of a girl’s hands; both performing Du’a. I edited and darkened both photos then used the photo outdoors as the base, and I overlaid the other photo on top and faded it out. I also darkened the resulted photo. I used different settings to emphasize on the fact that Du’a can be done anywhere and used different genders to show that it can be done by both males and females. I chose photography because it is the art form that I am good at, and then I edited the photos. I darkened the photos because I felt like dark colors work well with the kind of message I am trying to convey. Du’a or supplication literally means “calling” upon God. God says in the Qur’an: "When My servants ask about Me, I am indeed close to them. I listen to the prayer of every supplicant, when he calls on Me. Let them also, with a will, listen to My call, and believe in Me, so that they may walk in the right way" (Qur'an 2:186). When I think of Du’a, I think of calling to God for myself. Call upon God to forgive my sins, to guide me to the right path, to help me be a better person, to provide me with the will to achieve my goals and the requests go on. That is what most people call upon God for; people call upon God to help them in their own dealings. However, most of us do not look at Du’a from a different perspective. Very few people think of calling upon God for someone else. Very few people sit down for the sole purpose of asking God for His help to guide a friend, or help the less fortunate ones, the strangers, or even the whole community. We hear about and see in the news all the people who suffer from war, famine, and terrible environmental conditions; people who live in warzones and cannot escape their fate. It is extraordinarily distressing. Yet, we always seem to perform Du’a for ourselves first. 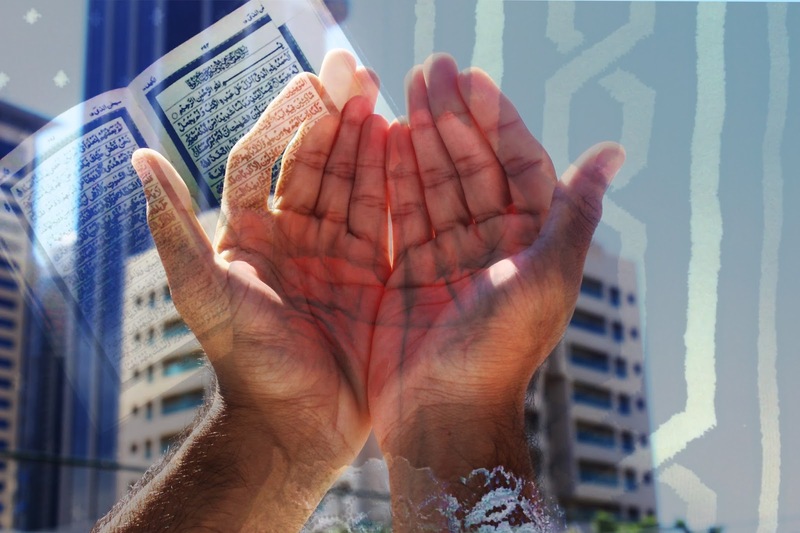 Du’a is a simple act that one can do wherever they are, whenever they can. It could be done in a one’s journey, when one is sick, late at night before sleeping, and even when one is performing daily tasks such as walking or driving from one place to another. This small task, however, carries so much weight when it is done for someone else. Imagine an Angel performing Du’a for you; this is how glorifying it is to perform a Du’a for someone other than ourselves. God assigned a task for Angels to perform Du’a for the ones who do it for people other than themselves. The same way the person you are performing Du’a for is absent from you, you are absent from the Angel who performs Du’a for you. For this reason, I highly believe that we, as humans, should not forget or neglect our sense of humanity. There are people out there who are suffering from tragedies beyond our abilities to physically aid them; the simple act of Du’a can not only benefit the unfortunate souls, but also those who are living in better conditions and are able to perform it. This is why Islam is the religion of peace. It is a self-less religion that encourages people to stand together, not necessarily physically, but spiritually. Performing Du’a is not an obligation to Muslims, but when Muslims perform it, they sense closeness to God, an increase in faith and a relief from distress, isolation and helplessness. Helplessness that comes from knowing that we cannot help the oppressed can be washed away from the sole act of asking God to give them glory over their oppressors. Du’a can be done by both men and women. It can be done anywhere. God simplified this act for humans, but made it carry a lot of purity and radiance. Remember to not only perform Du’a for yourself, but also for the ones who are silently suffering. Perform Du’a for your mother, your father, your sisters and brothers, and for the entire humanity. It all counts not only in this life, but also in the afterlife. Du’a is the spark to initiate hope and peace. I was introduced to many artists in this course; however, an artist that has always been an influence to me is a photographer called Paolo Raeli who carries his camera everywhere and snaps pictures of his friends in their natural moments. A Muslim artist that influenced me is Mustafa Davis who is an American Muslim photographer and filmmaker. He worked in the UAE in many channels that are familiar to me, such as MBC and Dubai TV. The reason he is influential to me is because he uses film and photos as a way to express himself. Many of his photos that I have seen are in black and white, which was initially what I wanted to go for, but I prefer color in pictures. Another thing that I like about his work is that it is always showing individuals and their expressions. Usually his models are dressed in traditional Muslim clothing, such as Hijab for women, but also some are dressed according to their culture. I am a 20-year-old Lebanese film student who has a passion for photography. I like art and I find photography and film-making a form of art that one can always learn and expand their potential through. I also find ease in expressing myself through film and photography.